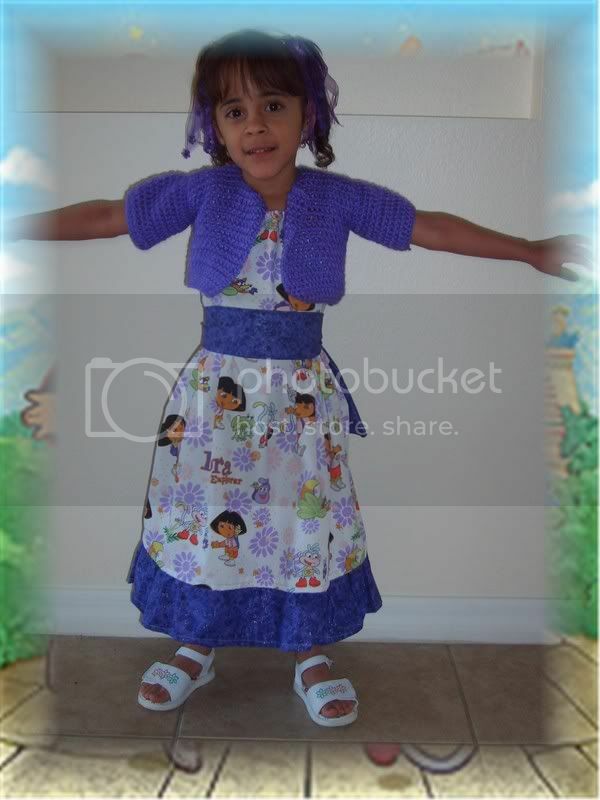 Create a dress set your little princess will love with their favorite character. 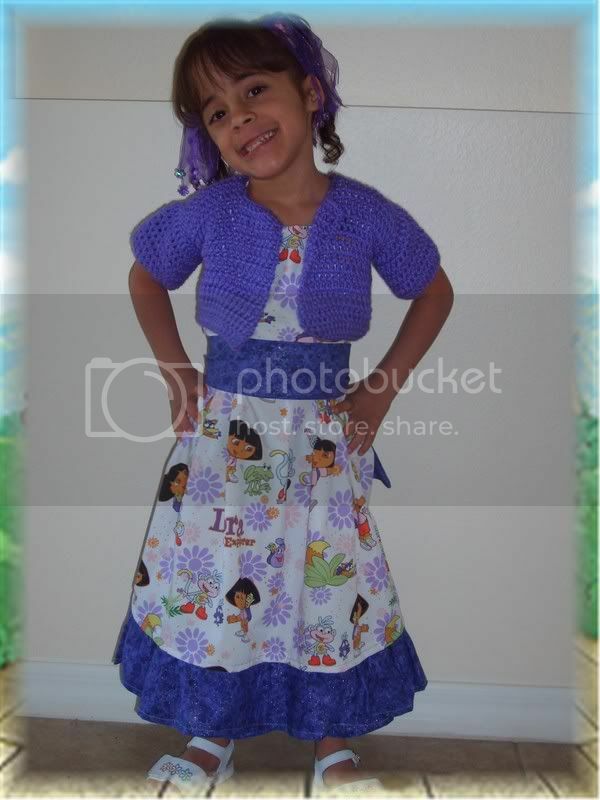 Toddler girls dress with sash at waist. Bodice short-sleeve top with scalloped hems, zips on the back. 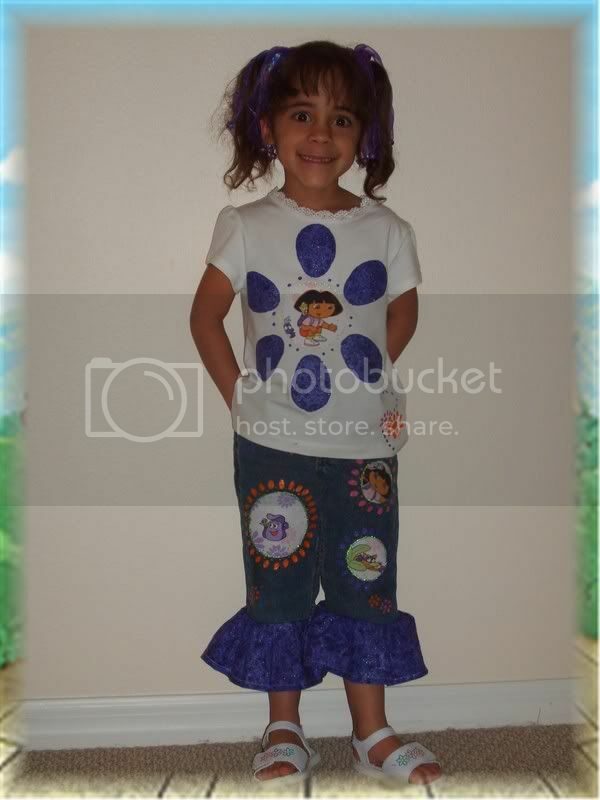 The skirt overlay bodice is layered at the bottom with a ruffled matching fabric. 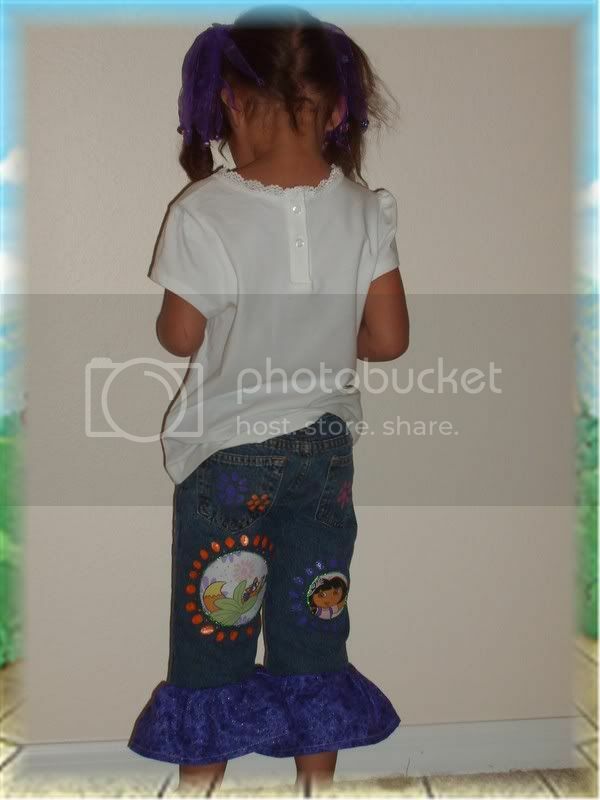 The sash can be remove to create another look as well as you can layer it with a matching shirt and capri's. The top as well as the capri's were made with the same matching fabric and the details as well as the fabric were detailed with 3D clear glitter, purple, orange and pink paint. This set is available from size 2 through 6. All seams are serged and professionally finished. This items also comes with a matching crocheted jacket. Choose from our collection of character fabric.